The European Parliament adopted this morning with a very large majority (402 to 232) a full and definitive ban on electric fishing in Europe. The outcome of the vote remained uncertain until the last moment, with the Dutch industry flooding the Parliament with “fake news” that were strongly denounced by several MEPs during the Plenary debate last night. This victory is a collective success for the artisanal fishers and NGOs that worked with BLOOM in an informal coalition. The artisanal fishers from the « LIFE » platform (Low Impact Fishers of Europe), the Platform of French small-scale artisanal fishers, the gillnetters from the North of France, the Lowestoft Fish Market Alliance, Thanet Fishermen, Queenbourgh Fishermen, Fishermen United, Leigh and Southend Fishermen, Mersea Island Fishermen, The Community of Arran Seabed Trust (COAST) and the Sustainable Inshore Fisheries Trust (SIFT), the Irish Islands Marine Resource Organization (IIMRO), Spanish artisanal fishers represented by the Lonxanet Foundation and the NGOs: Irish Wildlife Trust, End Ecocide on Earth, ‘Notre affaire à tous’, the Blackfish, Our Fish and the Blue Marine Foundation joined their effort to make their voices heard and to alert MEPs on the consequences of their vote. “Let down by their national representation bodies that have concluded or are in the process of concluding agreements with the Dutch fishing, artisanal fishers have decided to take political control of their future”, said Claire Nouvian. 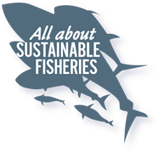 “The presence of fishers made a huge difference. Their urgency is palpable and their figures alarming: they truly are in great economic difficulty. MEPs understood the systemic problem they were going to create” added Frédéric Le Manach, BLOOM’s scientific director. “BLOOM put together a compelling advocacy document based on the extremely rigorous work of our researcher Laetitia Bisiaux. It took time to reverse the damage caused by years of Dutch lobbying and the Parliament’s calendar did not work in our favor, but in the end, science and data prevailed“. An extraordinary mobilization of civil society and private actors also helped create a favourable ground for MEPs to join the cause defended by the fishers-NGOs coalition. Before Christmas, many French fishmongers (Poissonniers de France), fish processors like the MERICQ group and retailers like Intermarché (AgroMousquetaires) committed to eliminating purchases of fish caught with electricity. This morning, the CARREFOUR group also committed to identical measures. Last week, the luxury Relais & Châteaux group announced its support to the BLOOM campaign and to a fight against destructive fishing methods such as electric fishing. Initiated by French Chef Christopher Coutanceau, more than 220 chefs from 21 different countries pledged to never buy fish caught with electricity. Finally, BLOOM’s petition for a full ban on electric fishing gathered over 100,000 signatures this morning. However, BLOOM would like to emphasize that the vote on electric fishing is part of a broader regulation on “Technical Measures”, whose content is extremely harmful to the health of the ocean. Discussions on this text gave Spanish EPP MEP and rapporteur Gabriel Mato an opportunity to undermine fundamental marine conservation standards and to do a lot of damage to the objectives of the Common Fisheries Policy. “Gabriel Mato went too far“, commented Seas-At-Risk’s Björn Stockhausen. “As a result, the future of the ocean and the protection of ecosystems are at risk. Except for the electric fishing case, this regulation is unacceptable as it stands now. We are not convinced that the trilogue negotiations will improve the situation at all“. The BLOOM-fishermen-NGO campaign has produced a political tsunami at European institutional level. “On 8 January, we unveiled the questionable decision-making by the European Commission in favour of Dutch fishing lobbies, which has triggered a shockwave in the political system. As a result, many political allies have become aware of the initial fraud of electric fishing” concluded Claire Nouvian. On 16 January 18, France also announced, via its Ecology Minister Nicolas Hulot, that France will support a full ban during Trilogue negotiations, which could start any time now that the European Parliament has a position.